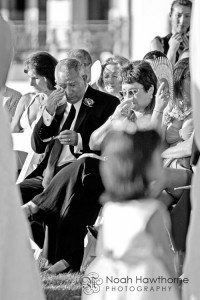 Can you remember the times you would go to a wedding and witness that look on the groom's face when he caught sight of his bride for the first time, heard that line in the vows that made everyone laugh or saw the bride wipe that small tear away as her groom pledged his undying love for her? "Of course" you say, "I notice those things at all the weddings I attend!" 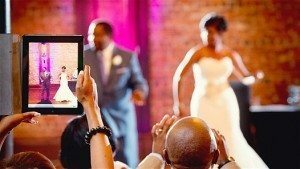 ...Or are you now sitting behind the lens of your latest camera, your smartphone or ipad trying to get a decent shot or two of the happy couple and unknowingly missing out on all those special moments? I too am guilty of this at special occasions and I don't think we truly realise what we're missing out on until we put all the technology aside and experience a wedding again as it's meant to be, intimate and free of distractions. How many times have you had to look around someone who has stood up to get a photo, missed something while fiddling with your camera settings or waiting for your phone's camera to focus? 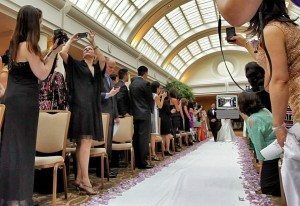 How many of the professional photos that the Bride and Groom have invested in do you think are ruined in these instances? Exactly why many couples are saying "enough!" They are choosing to have an 'unplugged' wedding and are telling their guests to put the cameras and the phones aside. So is it for you? Why should you consider having an unplugged wedding? Your guests can really 'be' at your wedding. Having all their focus engaged in the wedding will mean they are more connected and will actually enjoy it more. The clicks from camera's can also distract other guests who want to engage in the ceremony. 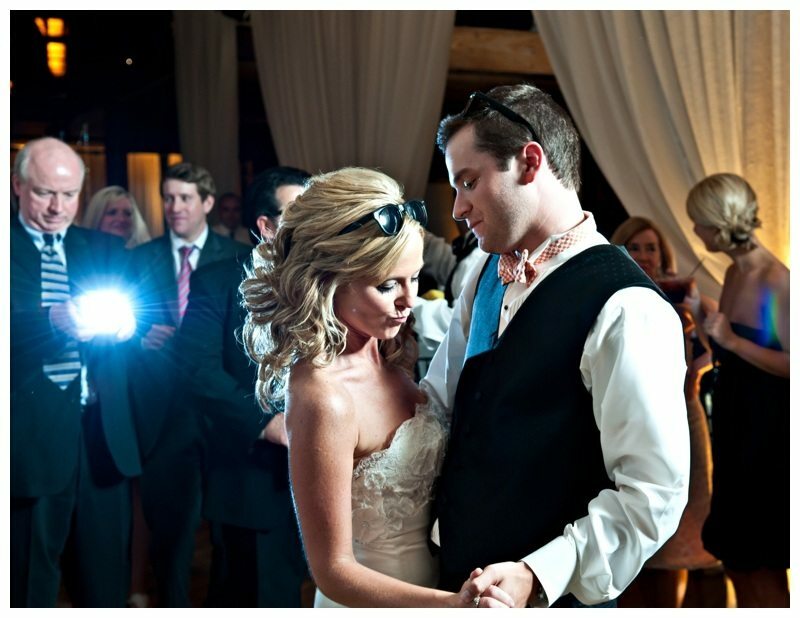 The flash from other cameras can ruin the professional photographers image. 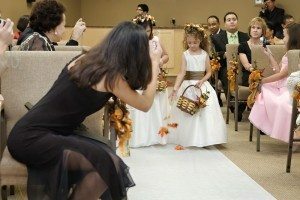 Your photographer won't have to delete a bunch of images because there's guests in the way or because they are taking photos of a group of guests who are also taking photos! If you are having a videographer it can be even more important as it's harder to edit out all the camera clicks, flashes and bobbing heads. 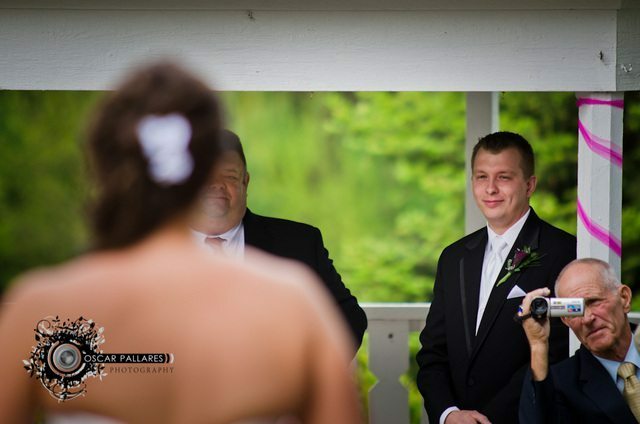 You can choose what photos your guests will be showing of you and your day. Inform your guests- you can do this with your invitation or on your wedding website etc. You can also have a sign at the wedding (example below) explaining to your guests why this is important to you. It's probably a good idea to get your celebrant to reiterate this before your ceremony begins as part of their house rules. Share your professional photos. It's likely your guests are going to want an image or two of the big occasion and with all the social media sharing tools at your fingertips it's not hard to do so. Some guests may feel a little disappointed that they can't capture their own special image of your day. Your guests won't be able to upload a picture of your first kiss to their facebook page before it's even finished- or wait, is that a good thing? "Hey, now... is that Uncle Bob?" This could have been a lovely shot. "I really wanted a photo of your ipad snap of my first dance! Thanks!" "The mood lighting wasn't cheap but I think it really paid off."